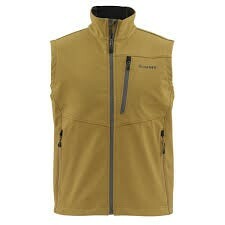 Powered by DWR treated WINDSTOPPER® soft shell fabric, Simms WINDSTOPPER® Vest blocks rain and arrests gusts on contact. 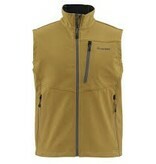 Two-way mechanical stretch enhances mobility, and high-loft micro-grid fleece internals hoard heat. Additional attributes include mesh-lined hand-warmer and a vertical chest pocket, YKK® AQUAGUARD® zippers, and a dual draw-cord adjustable bottom hem.